Need some inspiration for new ways to use summer’s bounty of tomatoes? 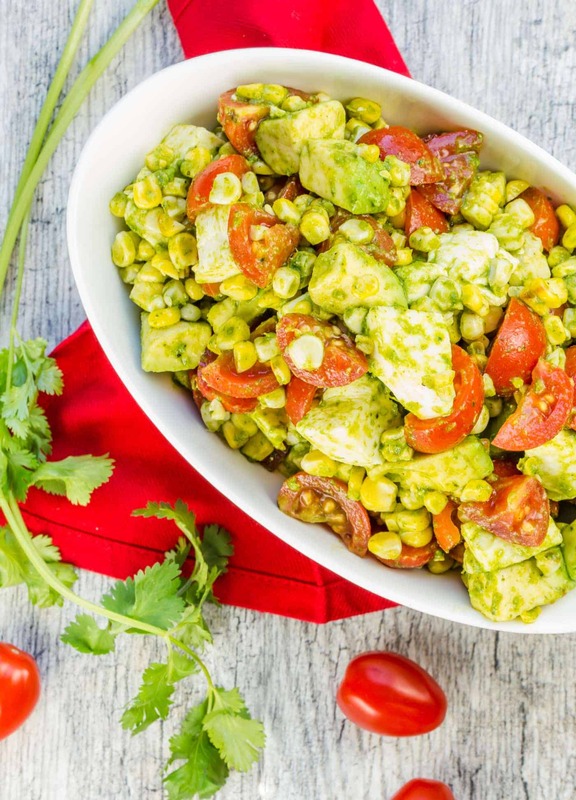 Look no further than our collection of 10 Garden Fresh Summer Tomato Recipes! Whether you have one pot of tomatoes growing on your deck or a garden full of heirloom varieties, it’s inevitable that ALL of the tomatoes will ripen at the same time. 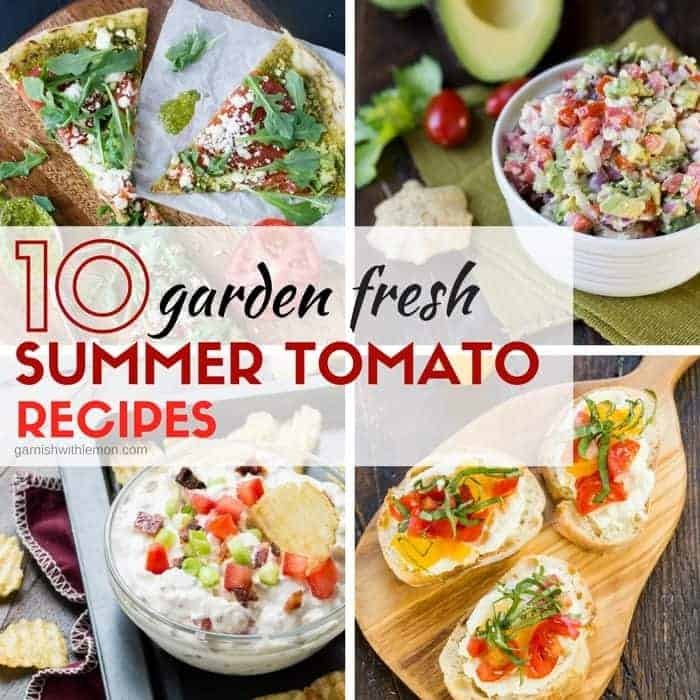 If you need new ideas for how to use your jackpot of juicy tomatoes, check out 10 of our favorite Garden Fresh Summer Tomato Recipes below. Cooked, roasted or raw, we have options for everyone! Need a recipe for those not-so-pretty-looking-but-still-taste-good tomatoes? 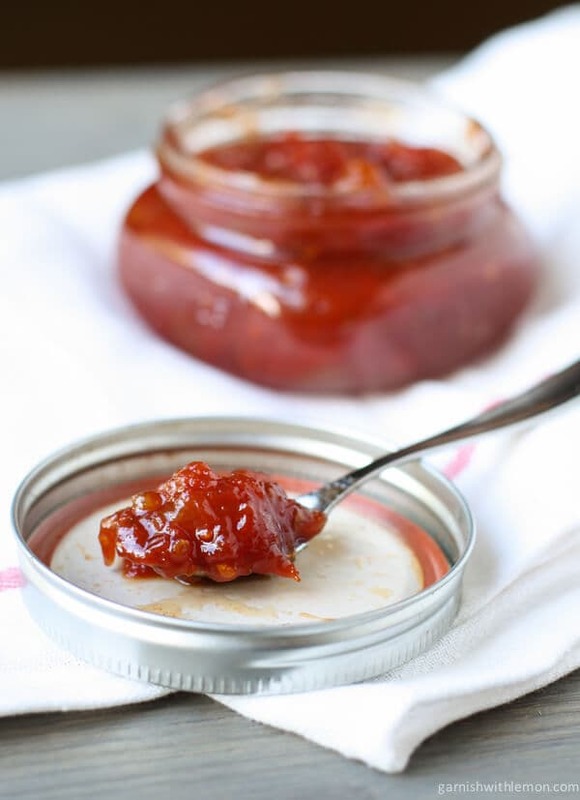 Our Sweet and Tangy Tomato Jam recipe makes only 1 1/2 pints, a reasonable amount that will keep in the fridge for weeks. Plus no water bath canning is required! Are your favorite parts of a BLT sandwich the bacon and tomatoes? 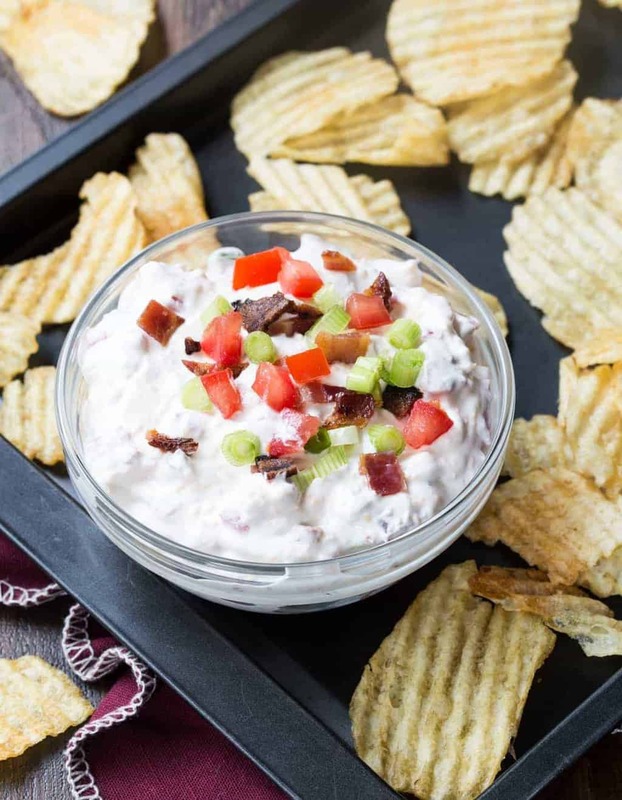 You’re in luck because this cold Cheesy Tomato Bacon Dip is just like a BLT but without the lettuce. It’s a great appetizer for parties and always goes quickly. 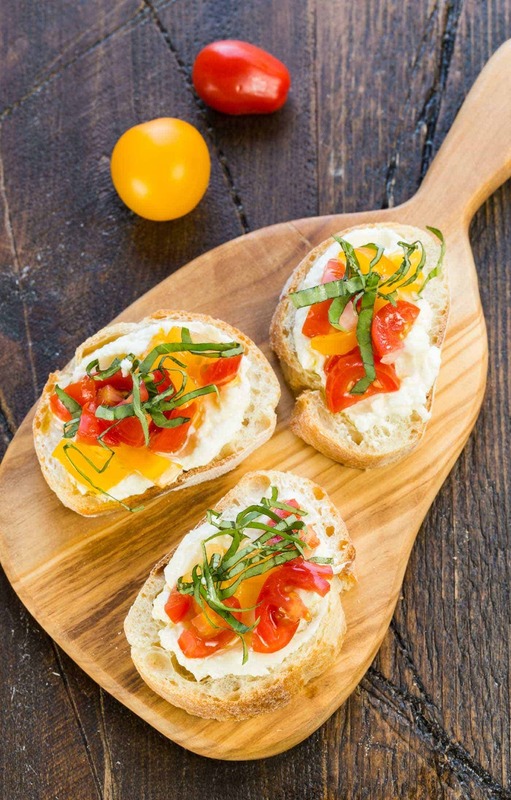 Whipping the feta cheese with lemon juice and olive oil makes it smooth and creamy and elevates this Crostini with Whipped Feta and Tomatoes to crave-able status. 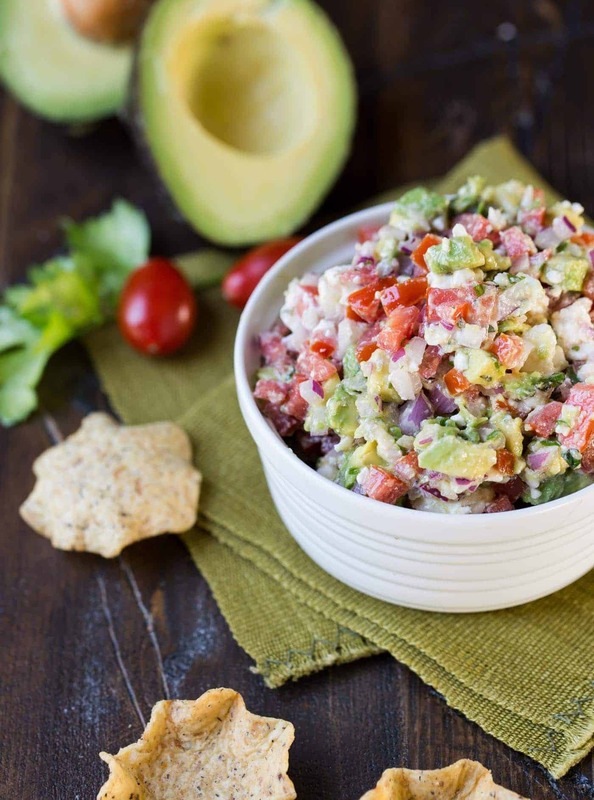 This Avocado Feta Salsa is one of our most popular recipes for a good reason. It’s not guac. It’s not salsa. It’s just your tortilla chip’s new best friend. No collection of summer tomato recipes is complete without bruschetta. And in this case, simple really is best. 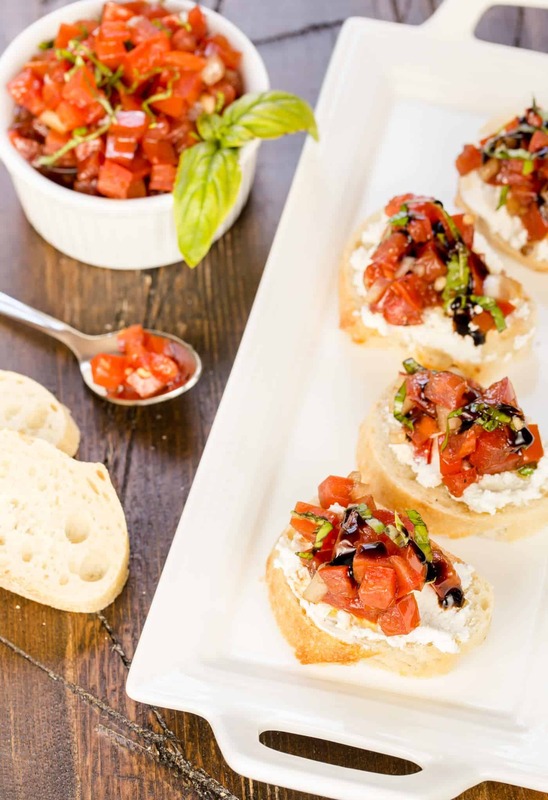 This 10-minute Balsamic Bruschetta recipe lets the gorgeous flavor of those juicy summer tomatoes shine. 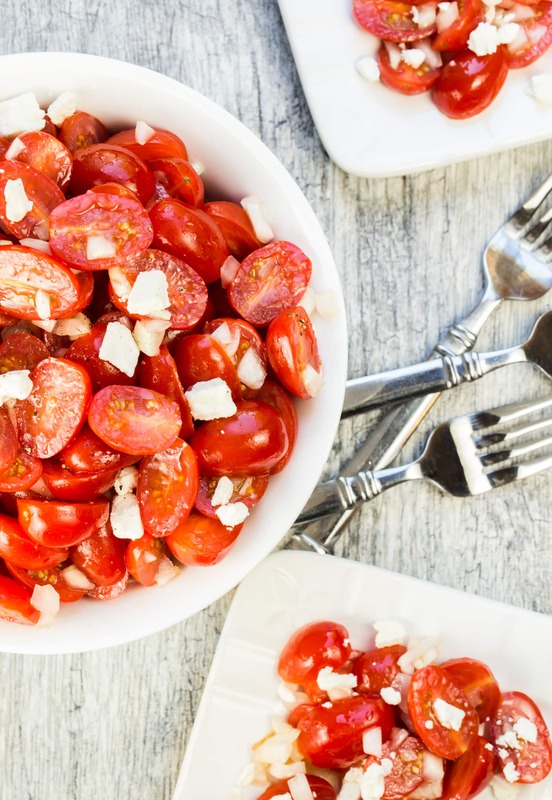 This Tomato, Feta and Vidalia Onion Salad is a go-to side dish for any summer BBQ. With only 5 ingredients, it takes moments to pull together and the combination of ripe tomatoes, salty feta, and sweet onion never fails to impress. Need a salad with a side of protein? 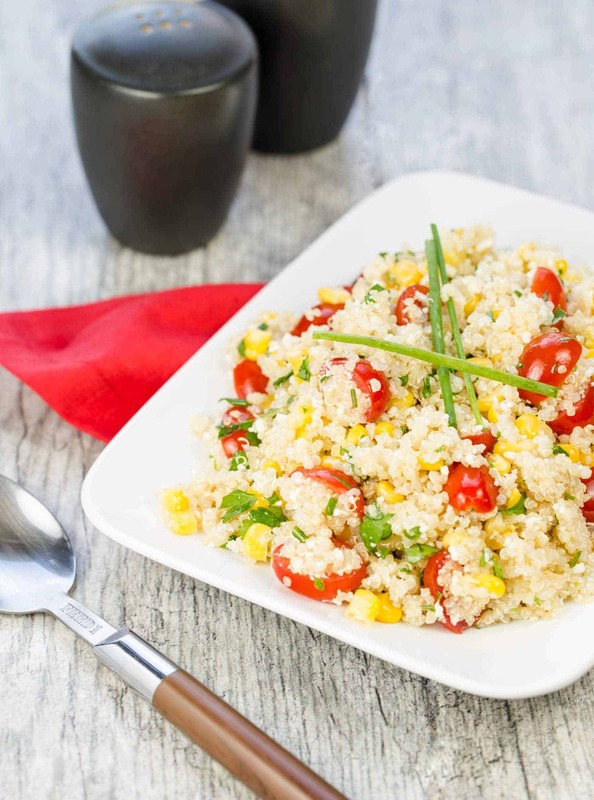 Look no further than this Quinoa Salad with Corn, Tomato and Cotija Cheese. (Cotija is like the Mexican version of Parmesan cheese – a creamy, salty topping that is perfect for sprinkling on everything.) This salad keeps well if made in advance, and we love to nosh on any leftover salad for lunch the next day. Love cilantro? We do, too, and this Tomato, Mozzarella and Grilled Corn Salad filled with summer’s best produce and a tangy cilantro dressing is one of the reasons why. This substantial side dish is always one of the first salads gone at our backyard BBQs. 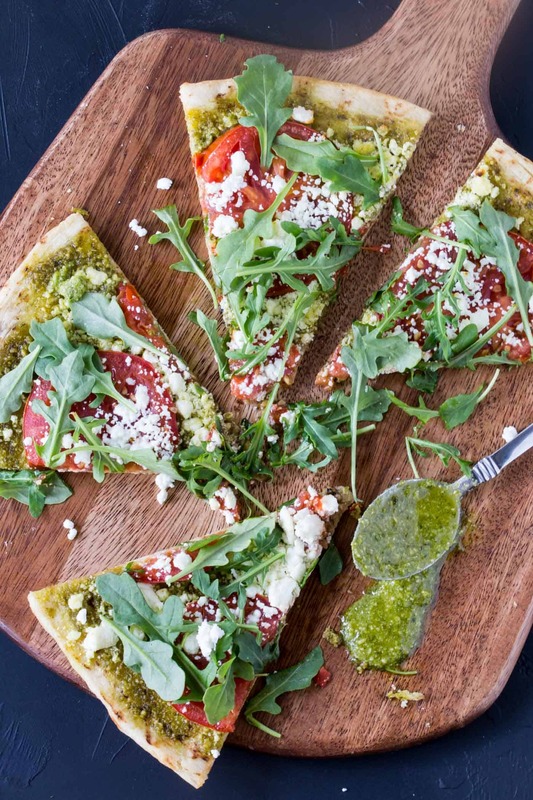 Grab your best slicing tomatoes for this Pesto Pizza with Goat Cheese, Tomatoes and Arugula. Never had arugula on your pizza before? You’re missing out. Plus you can make this on the grill and keep the house cool. Too hot out to even think about making dinner? 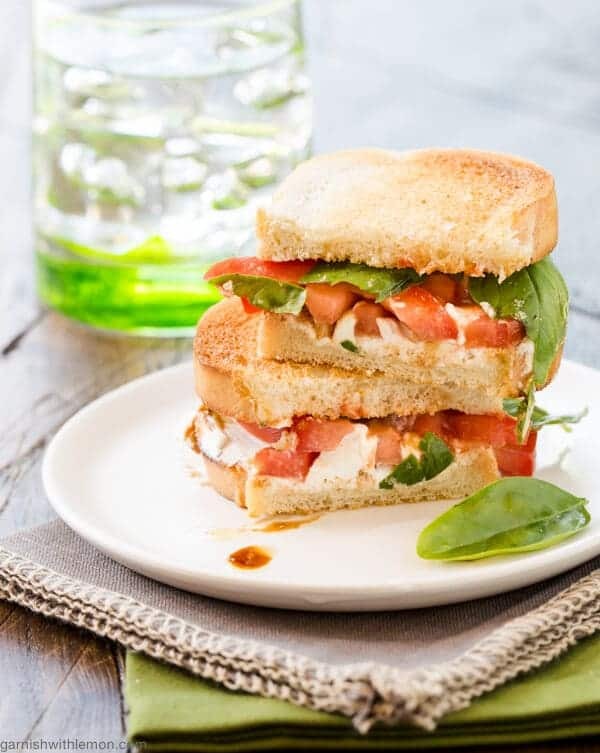 This easy Tomato and Goat Cheese Sandwich with Balsamic Drizzle is full of summer flavor but takes only 5 minutes from toaster to table.